Losing bets get refunded in bonus bets! Titan Bet seem so confident that they're correctly predicting the odds-on favourite for their Champions League betting markets that they're willing to put £25 on it! 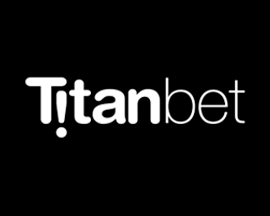 To take part in their bonus bet offer you'll firstly need to be a Titan Bet account holder, and secondly you'll need to login at TitanBet.com and place a Correct Score or First/Last Goalscorer bet on any Champions League fixture that Titan Bet offer odds on. Then, should your bet lose and the odds-on favourite for the Champions League betting market you bet on also lose, Titan Bet will refund your stake as a Titan Bet bonus bet. Terms apply to Titan Bet's bonus bet offer on Champions League bets, see website for info.